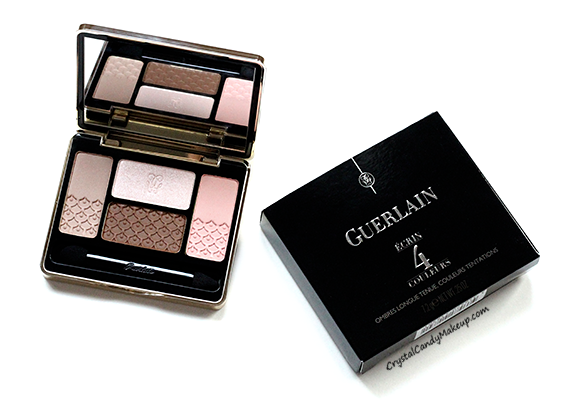 I tested many beauty brands in the past few years, yet I never really had the chance to explore Guerlain's makeup range as much as I would like to. But it all changed when I got the opportunity to try a few of their new products for Fall 2014! 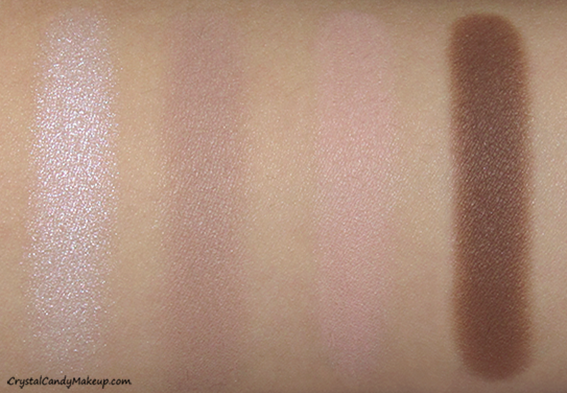 I'll talk about them later, but today I am reviewing the new Écrin 4 Couleurs in 15 Les Sables! Guerlain's Écrin 4 Couleurs in 15 Les Sables includes 4 shades that are extremely wearable, 3 of them are matte and one is shimmery. The texture is incredibly soft, I don't think I have ever tried a matte eyeshadow with such a soft, almost creamy texture! They blend effortlessly and the color payoff is excellent, but please note that the light pink and light taupey beige are pale colors so they might not show up on darker skintones. I love to apply the light taupey beige into the crease, the shimmery color all over the lid, and the brown on the upper and lower lashline. Guerlain Écrin 4 Couleurs in 15 Les Sables, Kiss Looks So Natural lashes in Sultry, MUFE Aqua Eyes in 25L, Anastasia Brow Wiz in Ebony and Anastasia Brow Powder in Dark Brown. I know this product is pricey, but if you are looking for a good neutral eyeshadow palette and you can afford it, you'll love this quad! I highly recommend it to older women who might not be able to wear some eyeshadows anymore, because some of them can accentuate wrinkles. 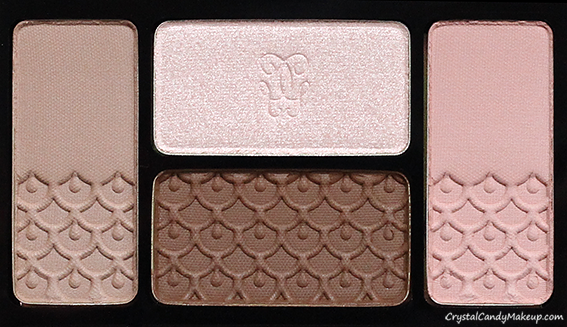 The Guerlain Écrin 4 Couleurs Eyeshadows in 15 Les Sables retail for $64 CAD for 7.2g. This palette is so up my alley! The quality looks so phenomenal and the colours included are simply divine! love love! 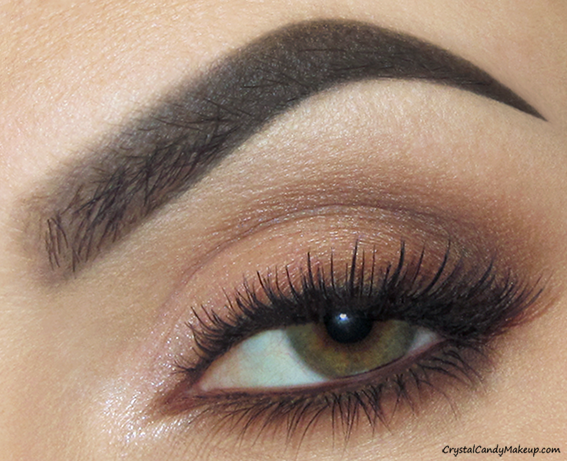 Don't we just love neutral eyeshadows? It seems like we can never have enough of these!! I love the look that you did. Just when I think that I'm done with neutral palettes, I find one like this that I absolutely love. I completely agree with you about the texture of the matte shades; it is exceptional. I've never touched such a silky soft matte eyeshadow, you really have to try them to believe it! Wow I just ordered the palette and can't wait to get it and try it myself. You did a wonderful job with your make-up. Thank you! I hope you will love it as much as I do!